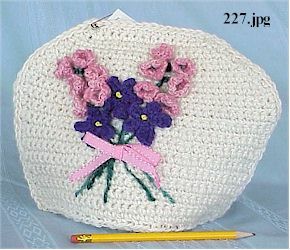 This wonderful all wool cozy will keep your tea warm while it blossoms the flavors. 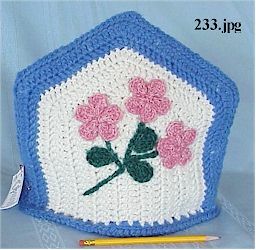 "Blue and white with Pink flowers"
This Tea Cosie is double thick, all wool for added warming. 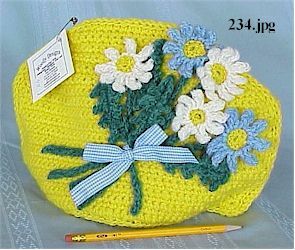 "Yellow Cozy with Daisy bouquet"
This bright addition to your kitchen is about 8 inches high and 12 inches wide.